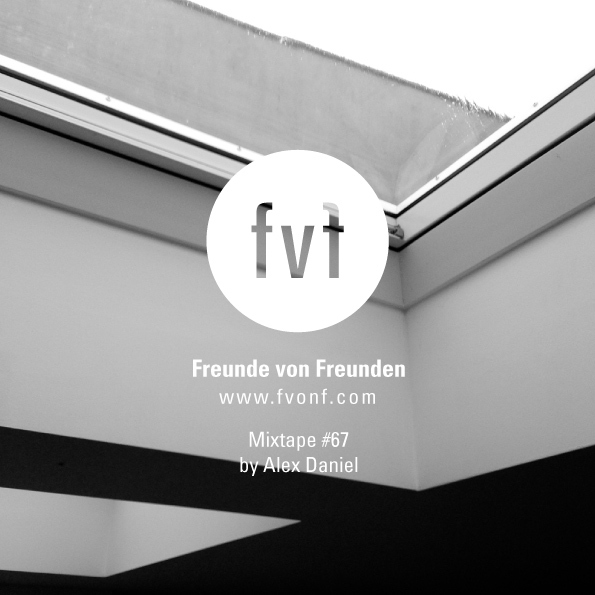 FvF Mixtape #67 is compiled by New York painter Alex Asher Daniel. Alex grew up listening to a wide variety of music, from his parents Folk and Chicago Blues records, to the R&B and Funk of his neighborhood surroundings. His well-known and eclectic music collection has been a lifelong passion, which he now shares while playing tunes at various venues around the city. An active member of the bay area Hip-Hop golden era of the early 90s, Alex has recently completed the score and music supervision for the upcoming documentary on Hip-Hop legends Souls Of Mischief and their seminal album 93 Til Infinity. For this special FvF mixtape, the Manhattan based artist created a chill late night mix for us of his winter favorites from R&B and Post Dub, to Neo Soul featuring artists such as Banks, Bondax and Rhye. Snuggel up and press play!